* As historic references, the development of the Shuai Jiao, was already BC. Indeed, under the Zhou Dynasty (1122 - 221 BC), was used as a training method of hosts, a role he would play throughout its entire history. Under the Qin dynasty (221 - 207 BC) was a show extremely appreciated by the aristocracy. In 1975, was found in a tomb in Hubei province, a wooden comb attributed to that period, with an engraving depicting two wrestlers and a referee. 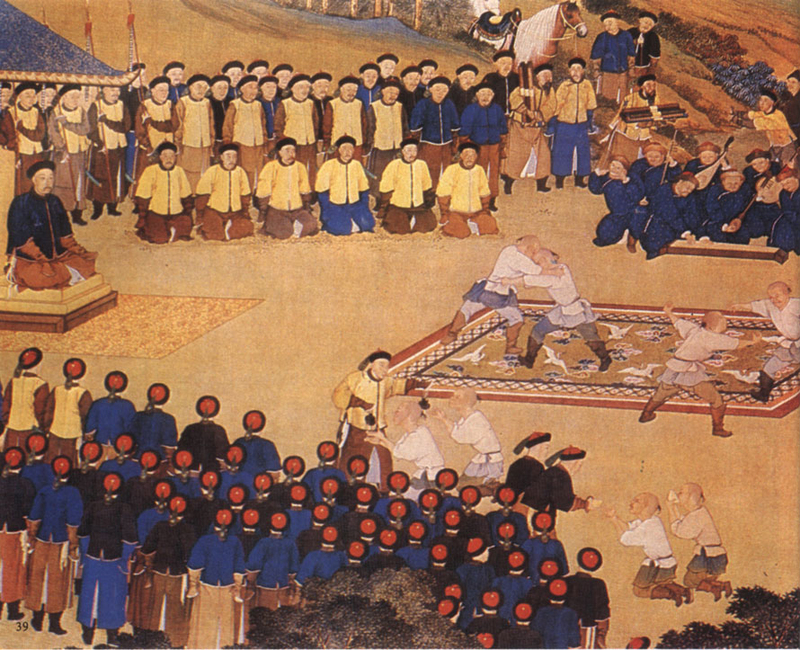 The first Shuai Jiao competitions took place in the early Christian era. These took an extraordinary boom in the Sui period (581 to 618 AD) which lasted over a month in the presence of the Emperor. Precisely dating the frescoes of that period found in the 492 caves of Mogao, the hill Mingsha of Gansu Province in central China, in the same we can see, many scenes related to the practice of wrestling. During the Tang dynasty (618 - 907 AD), professional wrestlers are the first in the imperial court. The same Emperors, are often passionately devoted to the practice of Shuai Jiao. The most famous case is that of the Emperor Zhuang Zong of the Later Tang Dynasty (936 -946 AD) who lost a villa, in competition with General Li Cunxian great champion of the time. As a result of his victory Cunxian Li was also appointed governor of the prefecture of Weizhou.